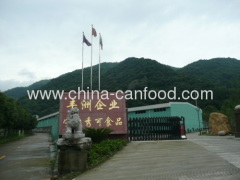 Ningbo Showco Food CO.,LTD(Ningbo Orient Jiuzhou Food Trade &Industry CO.,LTD),which was established in 1996,is a joint-stock company with the production of the canned food and trade as its major business scope. 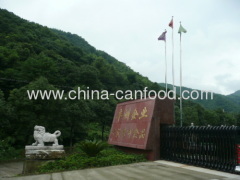 The company is located in Ningbo, a beautiful and richly littoral city. The company is in the back garden of ningbo,by the blue Dongqian Lake,and close to the Oriental Harbor and Shuoshe Airport,enjoying an exceptional natural conditions and convenient transportation. 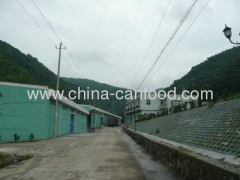 At present,the factory covers an area of 16650 square kilometers with 14500 square kilometers of a built-up area and over 25million yuan fixed assets. 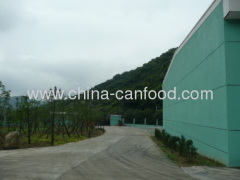 The company produces 11500 tons canned per year and has obtained the code name L63 ratified by the Ministry of National Light Industry for the enterprises engaging in the production of canned. The company got the self-operating right of import and export in 1999. 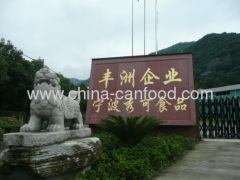 It won the top ten leading enterprises of Ningbo for the successive nine years. 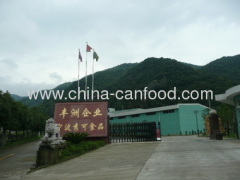 The company took the lead in passing the attestations of HACCP,the health and security system of food and of JAS,the organic food of Japan in 2002, passed IFS certification and BRC certification and FDA and Star-K kosher certification and registration of CQC oraganic food in 2003, passed the food safety management system of ISO22000 in 2007.
today has possesses mature processing technologies, sets of equipments and system and perfect management system with eighteen years of history and developments.It has taken a leading position in the processing technology of the boiled bamboo shoots.Its products include:canned mandarin oranges in light syrup,canned arbutus in light syrup,canned yellow peaches in light syrup,canned loquats in light,canned grapes in light syrup,canned winter bamboo shoots,roughly process of 18L boiled bamboo shoots,finely process,vacuum package(with the specifications of slivers,slices,cubes and lumps)and boiled vegetables(boiled osmund ,menma,fuki,baby corn). The company sticks to the principle that the prestige and quality are the most important. Opening up to both the international and domestic markets,the company seeks existence by quality and strives for development by benefits. The company provides all the clients both at home and abroad with high-quality service and satisfactory products.The company keeps its pace with the times,makes innovations continuously and takes a brand-new stride toward higher goals.